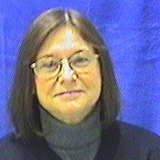 Debbie Hape has over twenty years of experience in the dangerous goods regulatory compliance field. She is the Dangerous Goods Compliance Lead for Pfizer’s Global Operations, with responsibilities that span Distribution, Manufacturing, Biologics and R&D, among others. She is a corporate member of multiple Dangerous Goods Industry Groups including the Dangerous Goods Trainers Association (DGTA), of which she served on the Board of Directors for five years. Her current certifications include: Certified Hazardous Materials Manager (CHMM), Certified Environmental Safety & Health Trainer (CET) and Dangerous Goods Safety Adviser (DGSA), which is a European technical certification.